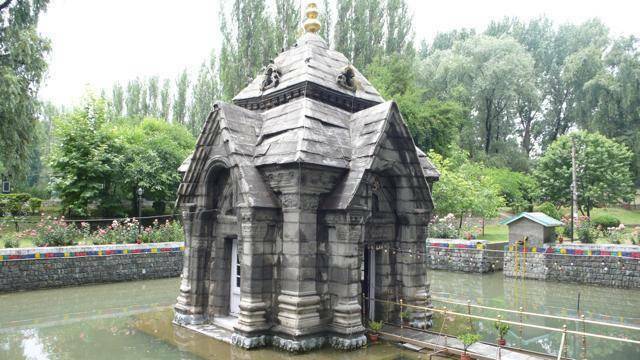 Pandrethan Temple (locally known as Paani Mandir) is about 5 kms from Srinagar city. This ancient temple was said to be built around 921 AD and is a great example of Kashmiri temple architecture. The temple is surrounded by a pond and is known for the geometry and symmetry used in the construction of the temple. Pandrethan Temple was built by Meruvardhana and is dedicated to Lord Vishnu.